In a recent poll of Records Removal Services' clients, 98.3% of clients rated our new online Client Service Center with an A+ rating and stated they would recommend Records Removal Services to others for removing their criminal history! SECURITY: Your personal information is protected by 256-bit SSL security. IMMEDIATE CASE INTEGRATION: Once you have paid your bill in full (as well as completed and returned all forms) our new system will place your case in queue to be exported to the appropriate form and mailed to you! BILLING: You now have complete control over your bill! Not only does the system generate an invoice and email it to you, but you have complete control over when payments will be deducted from your account (for clients on payment plans), and you can update your billing information anytime! You can pay your bill (both clients mailing in payments, and clients who have declined transactions) instantly of having to take the time to call a representative. ELIMINATION OF EMAILS: Electronic communication is never secure, and there is always the possibility someone could read your private and sensitive information if you save your emails; our new secured Client Services Tickets eliminates all unsecured emails! The Honorable Chris Christie, Governor of the State of New Jersey recently signed new legislation broadening the state's expungement statute. 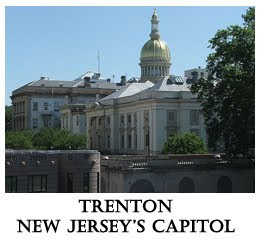 Governor Christie signed the legislation into law after it passed both houses of the New Jersey Legislature; the General Assembly and the Senate earlier this year. Citizens with convictions for third or fourth degree drug distribution convictions on their record may be expunged. The new legislation also reduces waiting periods for the expungement of indictable (felony) convictions. Under the old law, a citizen had to wait until 10 years had passed. Under the new expungement statute, certain indictable convictions will be eligible for consideration after a period of 5 years. There will be a series of factors that the court will consider when deciding if an early expungement should be granted. The important thing is the application can be filed, in most cases, 5 years earlier than before. The changes to New Jersey's expungement laws include other provisions, but the ones listed above are the most beneficial for people who need an expungement. For additional information, contact Records Removal Services today! Don't let your criminal history haunt you for the rest of your life!